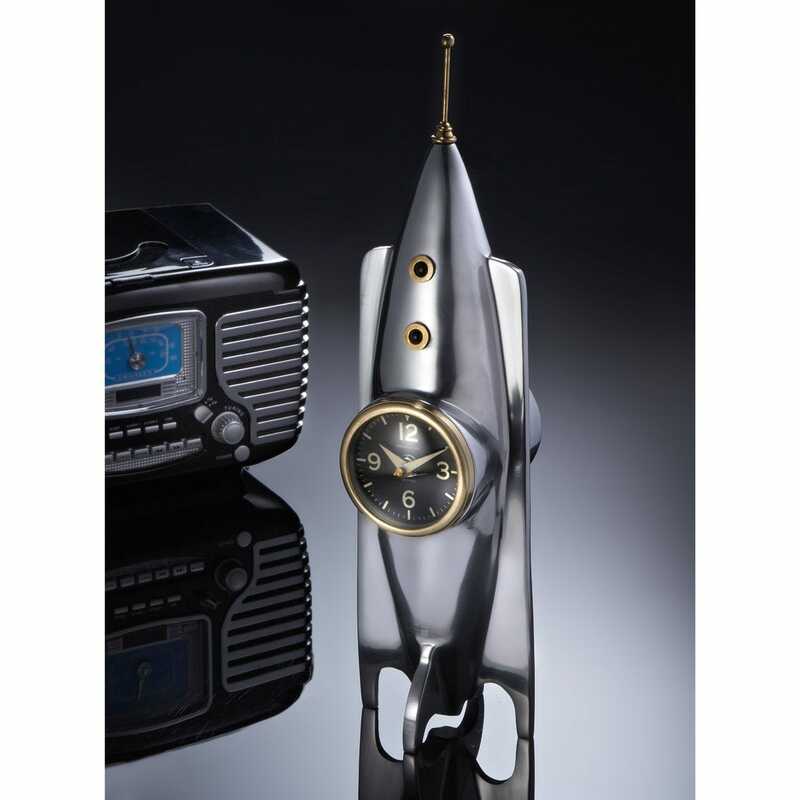 Inspired by classic Sci-Fi movies and TV shows like Flash Gordon, Lost in Space and the Forbidden Planet, this gleaming 1950s Rocket Clock will be appreciated by fans of early science fiction. And fans of mid-century modern design will admire the simple, clean lines. 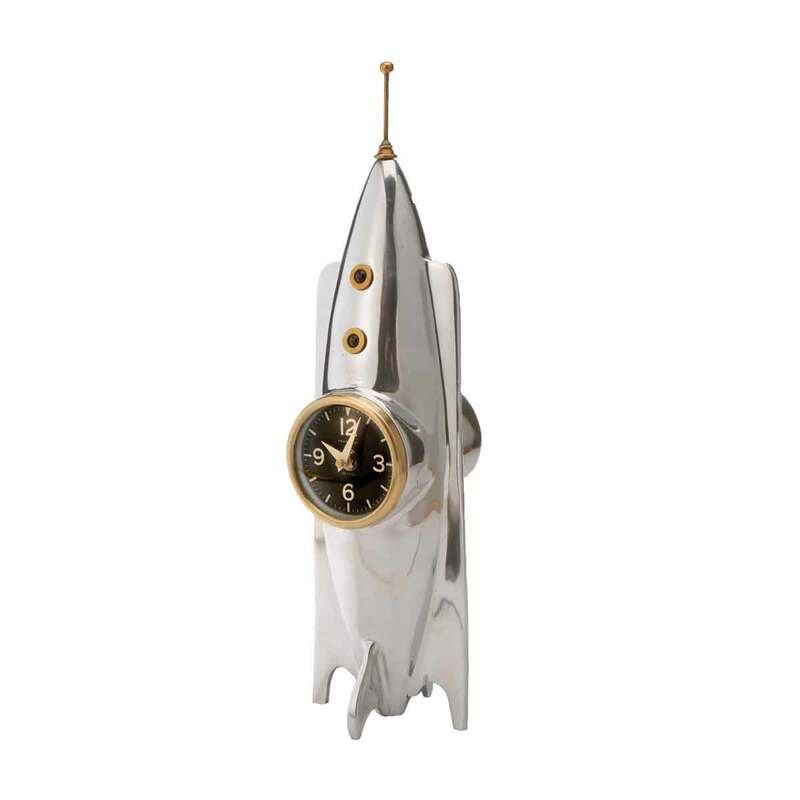 Crafted of polished cast aluminum with brass accents, the Rocket Clock is perfect for any desk or bookcase. Robby the Robot would approve of the classic antenna, dial, minute and hour hand, and hatch windows finished in brass. Clock measures about 17”h x 5”w and 4.25” deep. Quartz movement operates on one AA battery.